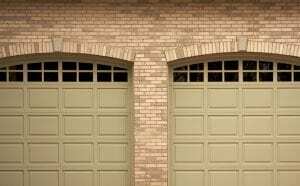 If you need a new garage door, the company that you can rely on to work on your Leander, Texas, home with expertise, precision, and efficiency is 31-W Insulation. We are a family-owned and -operated company that has been performing installations of all kinds since 1972, so you can trust that we have plenty of experience in the industry. Plus, our commitment to achieving complete customer satisfaction in all that we do is reflected in the A+ rating that we hold from the Better Business Bureau. Safety features – Our doors come standard with some of the most effective injury prevention measures in the industry, including pinch protection sections, concealed-action hinges, and tamper-resistant bottom brackets. Customization options – Choose from more than 10 visually appealing designs, a variety of attractive colors and woodgrain finishes, and various window and decorative hardware options, allowing you to craft the door that best suits your aesthetic taste. Durable construction – Built from steel and other heavy-duty materials and engineered to withstand high-wind conditions, our doors are designed to meet or exceed all local building codes. Our doors come with some of the best manufacturer’s warranties in the industry, many of which have lifetime terms, so you can enjoy the peace of mind that your purchase is completely protected. Plus, we are a garage door company that never utilizes subcontractors, choosing instead to have our own trusted employees perform each project. That way, you can be sure that your new garage door will be installed by professionals who are proud to promote our high standards of workmanship and customer service. To learn more about what sets us apart from every other garage door company in Leander, TX, contact 31-W Insulation today.